If you’re planning a cruise and would like to take advantage of a 5% discount AND a fabulous experience in London, Silver Travel Club has a lovely deal for you. Book any Silversea Cruises holiday through Halcyon Travel Collections and receive a 5% discount off the published price. Not only that, exclusively to Silver Travel Club members, we invite you to enjoy an exclusive ‘Gin & Tonic’ Tasting Experience for two in London’s Mayfair. Chin chin. Silversea’s all-inclusive fares offer a value that is the envy of any luxury vacation experience. 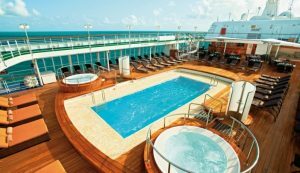 Their smaller luxury ships are designed for those who delight in the thrill of discovery while indulging in the most lavish surroundings imaginable. All accommodations are spacious, ocean-view suites that include butler service, and most include private verandas. 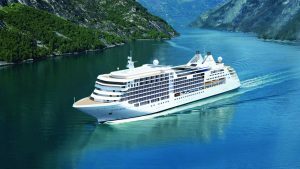 Silversea voyages and cruise expeditions sail to over 900 destinations on all seven continents, more than any other cruise line.